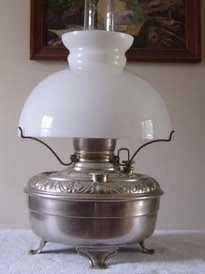 An interesting lamp that is a variation to most of Miller's table lamps. 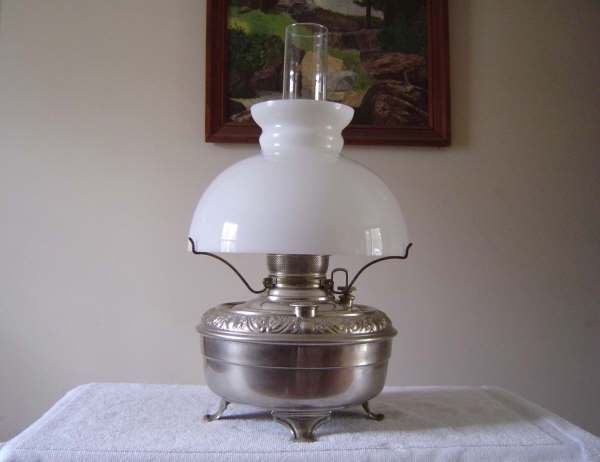 The exact purpose of the lamp, or the reason it is called a 'Mill' lamp is not known. 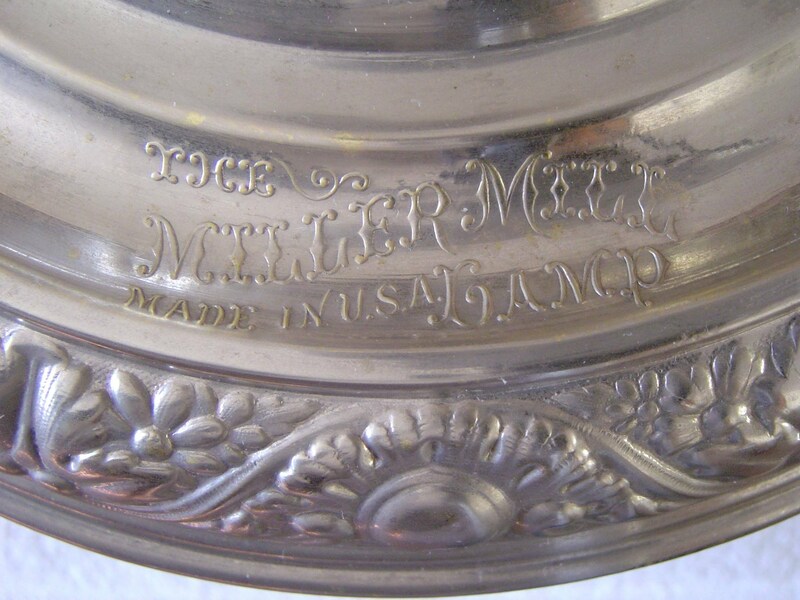 With a bulbus fount it is fitted with a quality Miller two piece No. 2 burner, c. 1892 patent wick raising devise and a Miller 10" folding tripod (spider). Differently the fill cap is of the larger size, typically found on the No. 3 Mammoth lamps. Displayed here with a 10" fluted top shade.